Stephen joined the fellowship at the tender age of 4 or 5. After attending Halton Primary School and Ripley St Thomas High School, he worked on his father’s farm prior to starting his own business and spending much of his life selling winter fuel products. 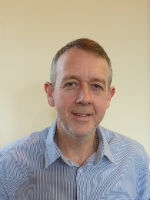 He is currently Sales Director for Logs Direct Ltd. Stephen is married to June and has three children: Phil, Andrew and Josh. He was involved in Sunday school and youth work prior to becoming a church deacon, which then led to his calling to become Church secretary in 2010. He enjoys church life, feels privileged to be part of the CBC team and is looking forward to what God has got in store for the future.